Valentine’s Day is on the way and store shelves are filled with heart-shaped candies, heart necklaces, and heart decorations! February is also American Heart Month, a very appropriate and on-trend time to show your heart some extra love. Let’s look at some of the most heart-healthy foods — and how to work more of them into your diet this month and throughout the year! With those tips and tricks in mind, here are a few of our favorite heart healthy foods to work into your regular diet. This is almost a no brainer. Veggies and fruits – whether fresh, frozen, or canned – are packed with vitamins, minerals, and all sorts of healthy goodness not just for your heart, but your entire body. Per the USDA, most vegetables or fruits are naturally low in fat and sodium, and contain essential nutrients to keep you running in tip-top shape. They also contain dietary fiber, which can help reduce cholesterol levels and lower the risk of heart disease. Not to mention, they’re delicious and satisfying! If you’re looking to add a little more fruits and vegetables to your diet, then you have to try this Apple Parsnip Soup ASAP. It’s full of fruit, veggie, and low-fat deliciousness. It’s the best of both worlds that you (and your heart) will love! A handful of healthy nuts (like unsalted walnuts or almonds) will not only help satisfy your hunger, but they may also help your heart! Nuts help lower your LDL (“bad”) cholesterol levels that play a major role in plaque development, according to Mayo Clinic. They’ve also been shown to reduce risks of blood clots and lower inflammation. 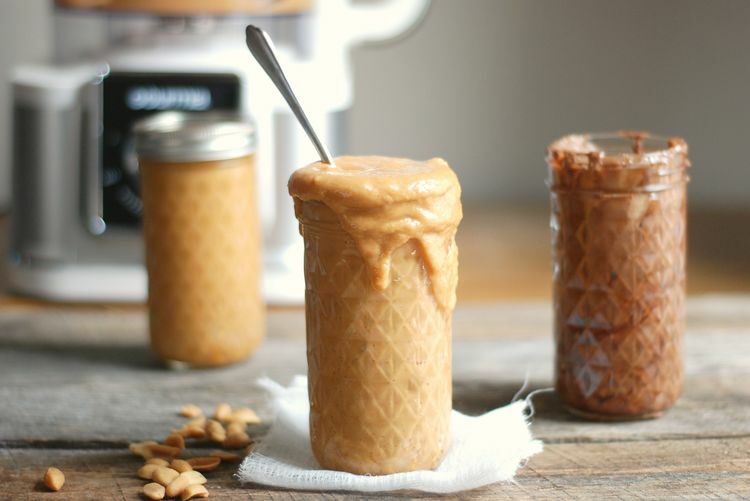 We love sprinkling nuts on salads, using them in a delicious trail mix, or simply creating a healthy spread, like homemade nut butter (check out how to make your own nut butter from The Inspired Home). Nuts are easy to store, quick to grab in a pinch, and last a long time in the cupboard, making them a heart-healthy choice at home or on-the-go! Eating fish high in omega-3s – like tuna, salmon, and trout – can be a great option when it comes to cardiovascular health. Fish is a great source of protein and low in saturated fat. Omega-3 fatty acids have also been proven to decrease risk of abnormal heartbeats, lower blood pressure, and slow the growth rate of plaque. The only thing we love better than fish, is fish with a little bit of spice! Try this recipe for Poached Cod with a spicy coconut sauce and add a little heat to your Valentine’s Day dinner. Beans, beans….yes, we know the song! Beans and legumes are high in fiber, minerals, and protein without a lot of the saturated fats found in some animal proteins. Eating beans as part of balanced diet has been shown to reduce cholesterol and prevent heart disease. The American Heart Association recommends buying reduced sodium canned beans or draining canned beans into a colander to remove excess salt. Beans are great in lots of dishes! 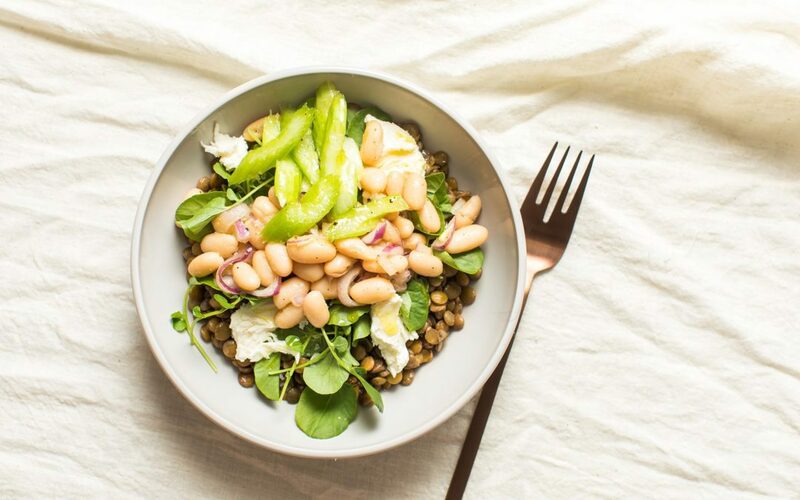 We really love to add them to soups, serve them alongside our favorite main courses, or even throw them on top of salads (like this Vegetarian Lentil Salad Bowl with White Beans from Tried & True). Like nuts, canned and dried beans are easy to store and last a while, so they’re a good staple item when stocking your kitchen pantry. When it comes to preparing heart-healthy meals you’ll love all year long, it’s all about having the right kitchen tools. Here are some of the most helpful cooking gadgets around, sure to make prepping and storing all your produce, fish, beans, nuts and other goodies easier and more fun! 8. Endurance® Conical Strainer – 7″ DIA.